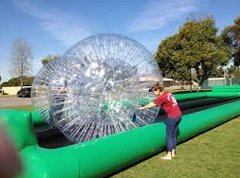 Interactive Inflatable Game Rentals, Climbing Walls, Zorb Balls and more. 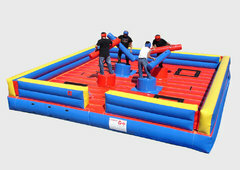 Inflatable obstacle courses let you race your friends over hills, down slides, and through pylons. 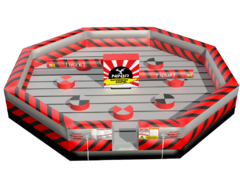 Obstacle course rentals are perfect for large events and small parties alike. 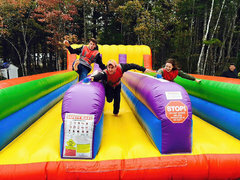 Kids and adults love racing each other through the inflatable course! 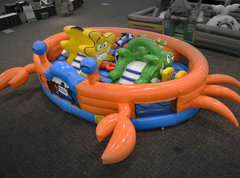 These inflatables are big, colorful, and bright. They are really great attention-getters at any event. 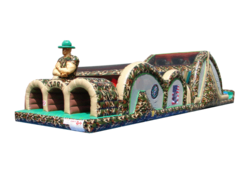 Browse out great selection of inflatable obstacle courses and interactive games like our new life size Hungry Hippo game below. 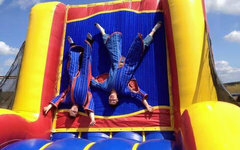 Check out our massive inflatable climbing wall. 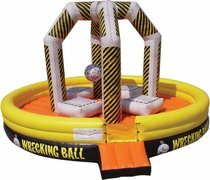 It's new for the 2017 season and is sure to be a very popular item. 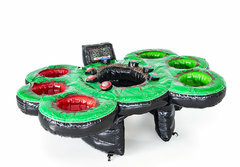 A must have rental for any event. 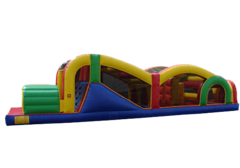 Some of these inflatables are massive and much, much bigger than a bouncy castle, but don't worry we take care of everything for you. 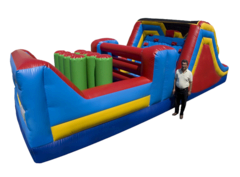 Let our professional, trained staff do all the heavy work of delivering and setting up your obstacle course or interactive game. 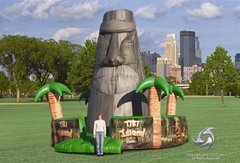 Click below on any item to see further information and pictures of the inflatable, as well as to place your reservation. 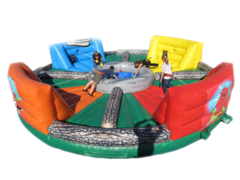 Prices shown are for a 4 hour rental, additional hours are available. Prices and include delivery, set up and pick up within the city of Edmonton and St Albert. Delivery charges may apply in other areas depending on where you live. Click on an image below for rates and details.